In Florida, the epidemic has taken a terrible toll. So much so that Jacksonville is taking on the pharmaceutical companies with legal action of its own after a huge settlement announced this week as the makers of OxyContin reached a $270 million dollar settlement with the state of Oklahoma for the painkiller’s role in the opioid crisis. Dr. Christine Cauffield, CEO of LSF Health System in the studio; and Jacksonville City Councilman Bill Gulliford for a closer look. Chronic tidal flooding due to rising seas is threatening property along Florida’s coast. What does this mean for residents of Florida? Shana Udvardy, a Climate Resilience Analyst with the UCS joined Melissa Ross in the studio to talk more about it in today’s Going Green. JaMario Stills (right), Director, “The Food of Love,” and Founder and Artistic Director, Phase Eight Theater Company; and Amanda Henninger, Chef, Cafe Nola at MOCA Jacksonville joined us in Studio 5. The Food of Love is a modern take on Cyrano de Bergerac's tale of unrequited love. In this queer, gourmand take on the 1897 classic, a modern "Cyrano" Alex allows Chris to pass off a five-star, four-course as his own in order to woo Roxy. Before the true identity of the chef is revealed, the audience will literally "have what she's having" as audience members dine on each course that Roxy does thanks to a story-driven menu produced by NOLA's Executive Chef, Amanda Henninger. 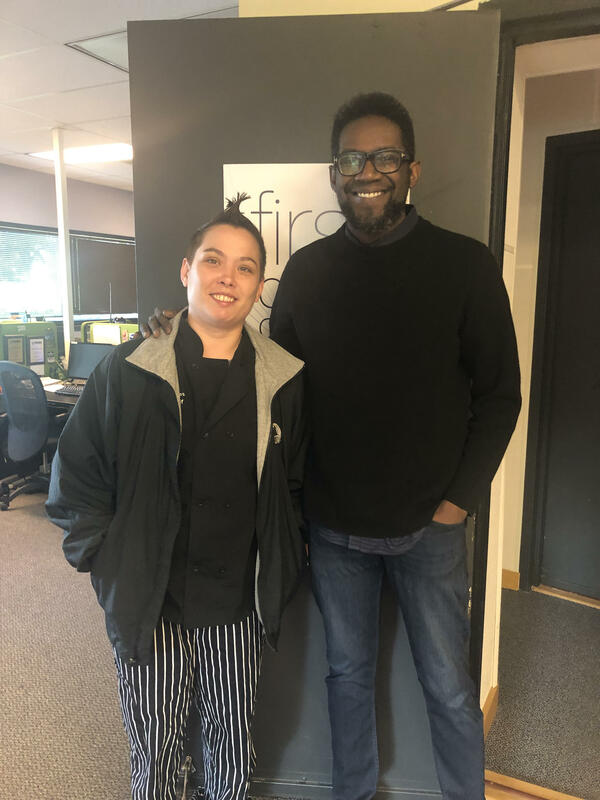 JaMario Stills, Director, The Food of Love, and founder and artistic director of Phase Eight Theater Company; and Amanda Henninger, Chef, Cafe Nola at MOCA Jacksonville joined us in Studio 5 to discuss it in more detail.